We are celabrating our outstanding commitment to sport at the school. We do lots of clubs including football,hockey tag rugby,cricket,tennis and speed stacking .We also do outstanding P.E LIKE dancing, athletics ,daily mile wich we will talk about later.We also provide a club called Wake and Shake.It allows parents that are in a rush to drop there kids off in the morning and dance and get them ready for the school day.We also do the daily mile is arun we do to get us ready before P.E. 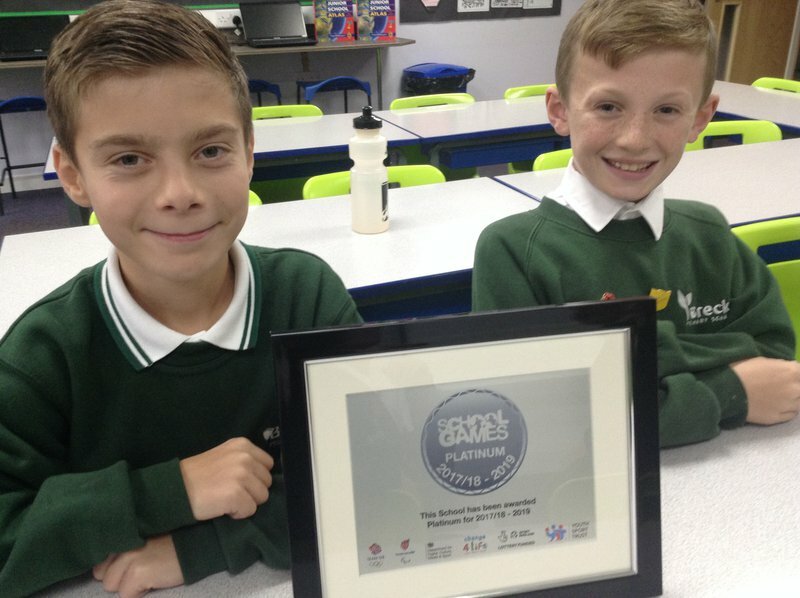 A huge thank you to all of the children whose hard work leading PE activities at Breck made such a difference in us achieving this award. Pupils at Breck help out every day , leading playtime activities, taking charge of warm ups during PE lessons , leading/ officiating matches at intra and inter school level as well as planning and implementing improvements in PE and School Sport .